I know it's not a word but here is my new tent! I ordered it from Overstock.com today. It was a great deal, got free shipping, has enough room for three (or just me and my stuff) and weighs 6.5 pounds! (And of course the 10 points per $ on my mypoints.com account don't hurt either.) 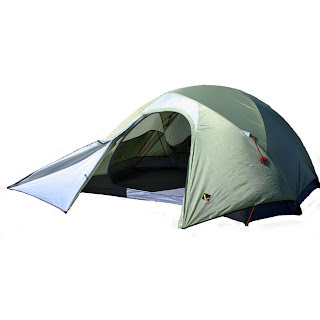 I am excited to get it and practice putting it up so I look like a pro when I get to the campsite!